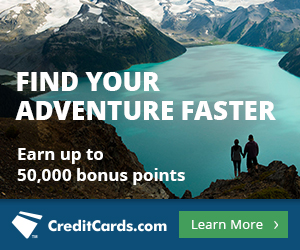 Although always a heavy hitter as far as the airline credit card sign-up offers go, Alaska Airlines miles are among the best miles to accumulate for domestic and international travel. Alaska is not part of either of the major alliances, but it has 14 partner airlines that you can redeem Alaska Air miles with. You can redeem your miles on Alaska Airline flights, but also with any of their partner airlines for both domestic and international travel. With all of the Alaska Airline partner airlines, you almost have an endless amount of travel opportunities to any international destination you can think of! However, you’ll be limited to specific routes with Alaska’s partners with most of them being direct flights to/from the US. In general each partner airline serves a particular region, such as LAN for flights to South American and Emirates for flights to the Middle East. One of the best perks of Alaska Airlines is that it does not charge fuel surcharges on flights with any partner airline awards with the exception of British Airways. Alaska Airlines charges some of the lowest fees on partner award flights — you will only pay $12.50 fee each way or $25 for a round trip. 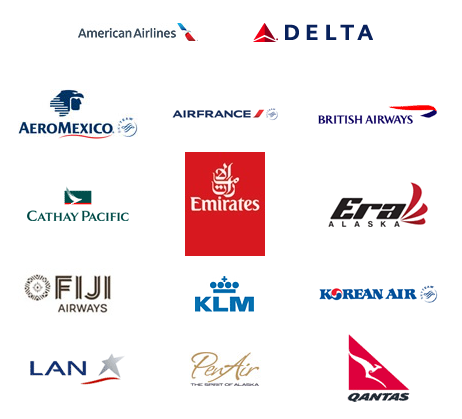 All of the partners service flights between the US and Europe, except Cathay Pacific which can only be used to book awards between Asia and Europe. 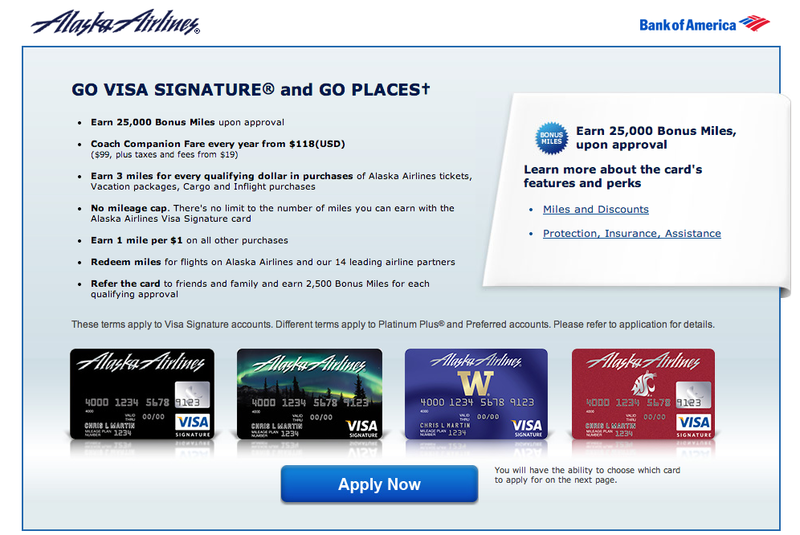 On all of Alaska Airlines’ partner awards you’ll only pay a $12.50 fee per one way award. You won’t pay fuel surcharges on any award to Europe unless you book on British Airways. 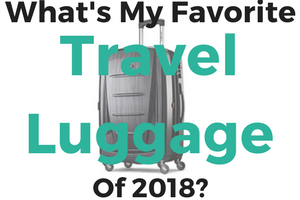 The main thing to consider when planning an award to Europe using Alaska Airlines miles is which airline you prefer to fly on and which destinations you plan on visiting. Remember you can only fly on one partner airline in addition to Alaska when booking partner awards. This means you can fly on Alaska Airlines within the US to connect through a larger city to fly on one of their partners. Since Alaska Airlines allows one-way awards you can always book two one-ways to make a roundtrip, and you can add a stopover in each direction on one-way awards! Each partner has its own award pricing and destination and stopover options, so let’s take a look at each of them. You can fly on either Air France or KLM from the US to Europe using Alaska Airlines miles. Plus you can add a stopover along the way to visit two European destinations per roundtrip. Since you can only stopover on a city en route when flying on Air France and KLM you have the option to stopover for an amazing dessert in Amsterdam and visit the Louvre in Paris. If you want you can even fly one-way to Europe on KLM and stopover in Amsterdam on the way to your destination, and on the return you could fly Air France and stopover in Paris. This would make it possible to visit 3 European cities at no extra cost in miles. 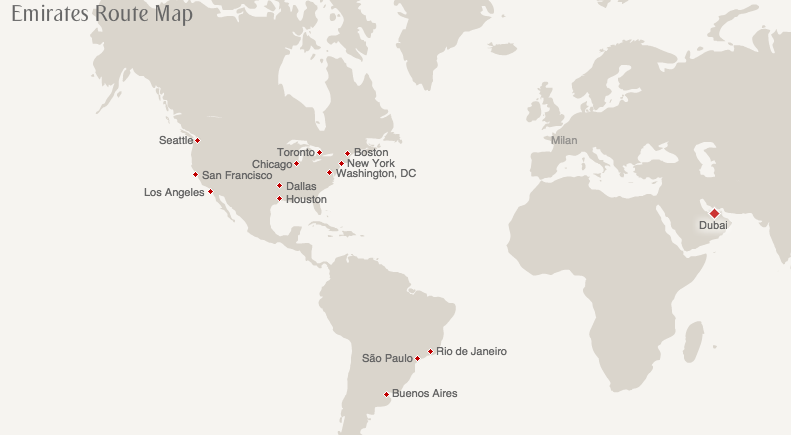 Instead of having a free stopover in one of these cities you could add a free one-way. 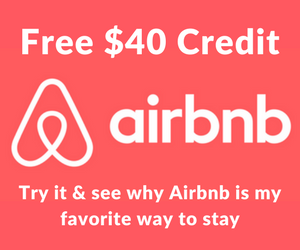 Meaning you could return from Europe and add a free one-way within the US to anywhere American Airlines or Alaska Airlines flies. You can fly on British Airways to Europe using Alaska Airlines miles, but expect to pay high fuel surcharges. Depending on the routing these are often $200 to $500 per one-way award. Unless it’s unavoidable you’ll get more value out of your Alaska miles by not redeeming them on British Airways flights. 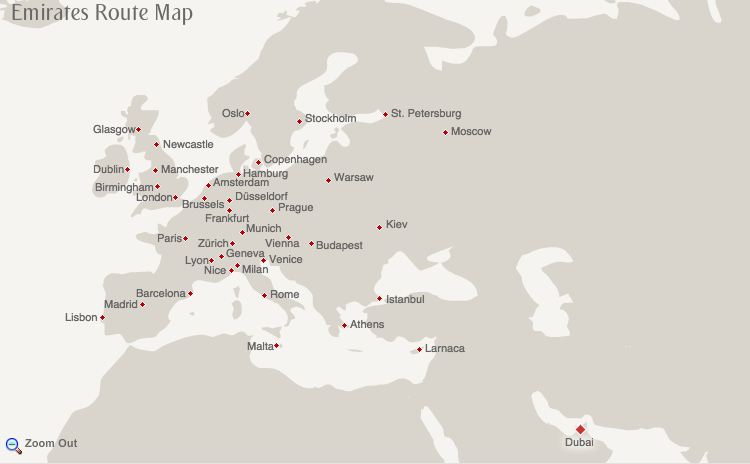 You can fly on British Airways from the US direct to Europe from many cities. British Airways doesn’t publish a full route map, but you can see a full list of all the cities British Airway serves in the US. Note: British Airways is the only airline that you’ll pay fuel surcharges on when redeeming Alaska Airlines miles on partner awards. You can book an award on Cathay Pacific to fly from Hong Kong to Europe, but your limited to few destinations and are not allowed stopovers. You can redeem Alaska Airlines miles for flights from Hong Kong to London or Paris. Even though Cathay Pacific flies to many more European destinations Alaska only has an agreement to allow mile redemption on these two routes. This also means there is no possibility of a stopover for award flights from Asia to Europe. 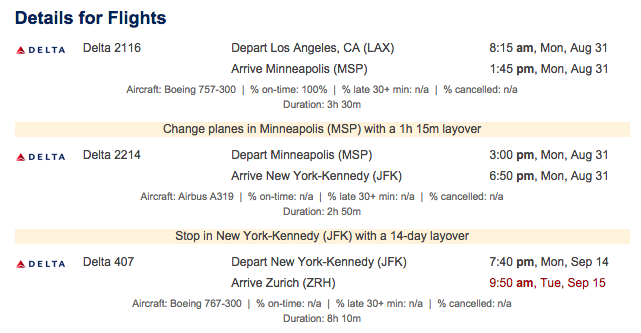 Delta is among the more flexible options for flying to Europe using Alaska Airlines miles. You have 28 European destinations to choose from when flying on Delta and can also add a stopover of free one-way within the US. 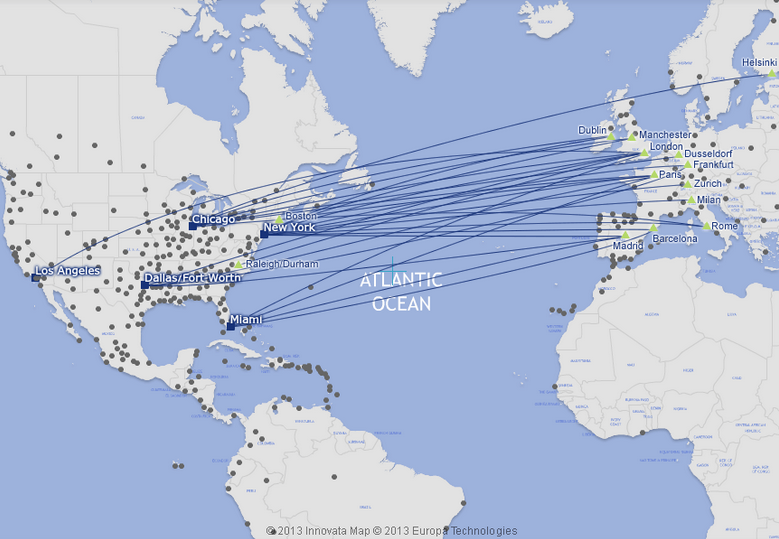 Delta’s North America to Europe route map. You can add a stopover in any city you connect through in the US on your outgoing leg and any first you connect through when returning to the US flying on Delta or Alaska Airlines. This means in practice you should be able to add a stopover in almost any US city Delta or Alaska flies to when flying to or from Europe. Emirates is among the best cabins you can fly to Europe on using Alaska Air miles. You can fly direct from the US or also add a connection or stopover in Dubai. Although it may not be your end destination, there are plenty of things to do in Dubai to fill up a few days. You can add a stopover in Dubai on the way to Europe or also have a stopover of free one-way within the US anywhere Alaska flies. 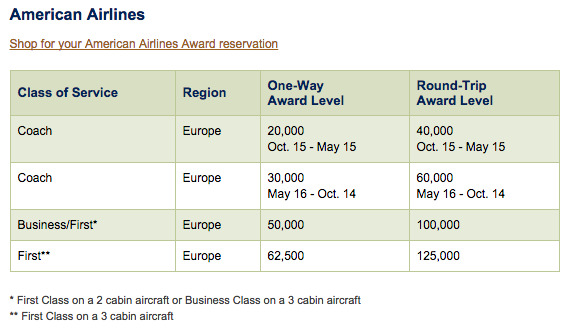 Alaska Airlines miles are an excellent option for booking award flights to Europe. The biggest restriction when booking awards is that you are only allowed to fly on one partner airline in addition to Alaska Airlines. 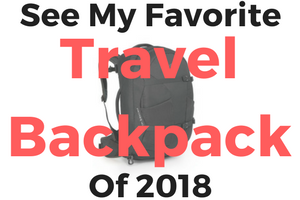 This will limit which destinations you can fly on with a particular airline, but there are still tons of options available. You’re best bet is to start by looking at where you want to fly or which airline you want to fly on. Alaska Airlines’ generous stopover and one-way award rules allow you to book two one-way awards and also add stopovers or free one-ways to add extra value. Just called AS, you can now redeem all CX flights from HKG-Europe and Europe-HKG. Great news! Which route were you looking at booking? super helpful, thank you! However, whenever I do a search, either from Boston or New York, to Munich or Vienna, the only airlines that pop up are British Airways (or KLM/Air France if I my search includes Paris). I’m doing my searches on the award calendar, and have tried many different months. I’d love to fly AA or Delta. Any thoughts? Fernando, sorry the the delayed response I just got back to wifi after a week in rural Patagonia! 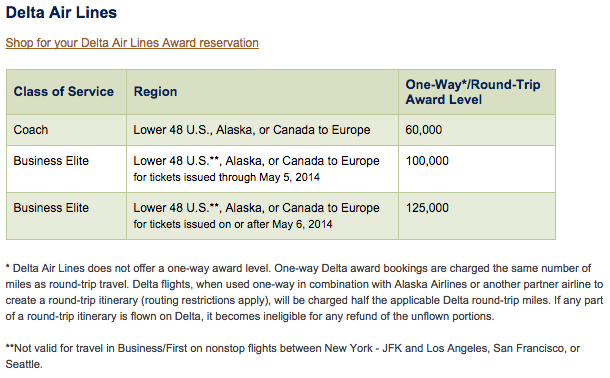 It may just be award availability, Delta seems to be much harder to find unless you are searching far in advance. Maybe look for flights out of ATL or flights into AMS. I hope you enjoyed patagonia. I’m still only turning up BA award flights, which I clearly dont’ want to use with their fuel surcharges. I no longer care about AA/Delta… I want to get us to Vienna from Boston using the many Alaska Miles, in December to see Christmas Markets. I feel like I must be doing something wrong. I’ve search so many of the European gateway cities from Boston to those cities, and am coming up with nothing but BA on the Alaska site. Any further thoughts, helpful friend? Be sure to find out with cities you can route through on the airline and use the multi-city search. The biggest factor is not flying on a more than two airlines (including Alaska).